LIMEX sheet are recycled and up-cycled. We can save the natural resources. 1. Pelletize the residue of LIMEX sheet after manufacturing and printing. 2. Transform unprinted LIMEX sheet into LIMEX sheet. injection molding and extrusion molding. 4. 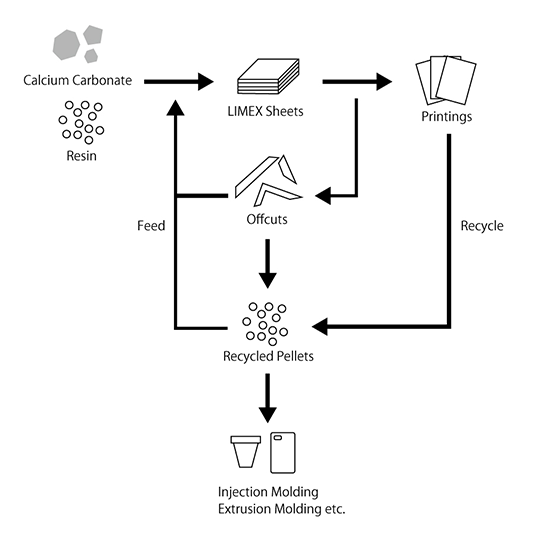 Extract energy from the LIMEX pellet.